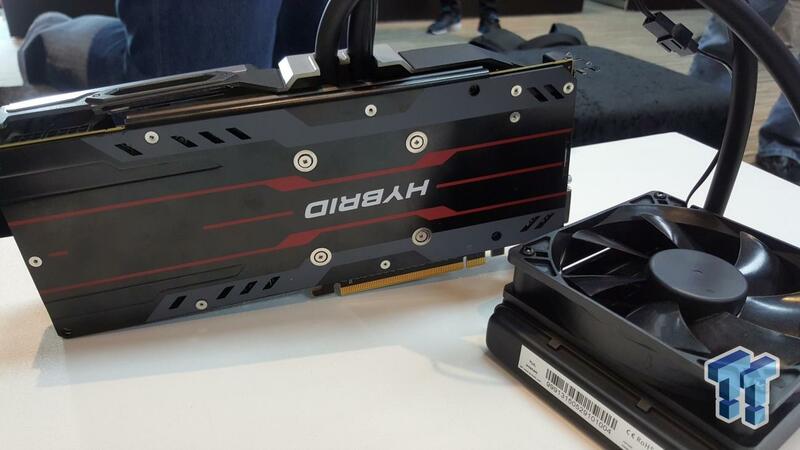 PowerColor not confirm that this is R9 390X, at least officially. 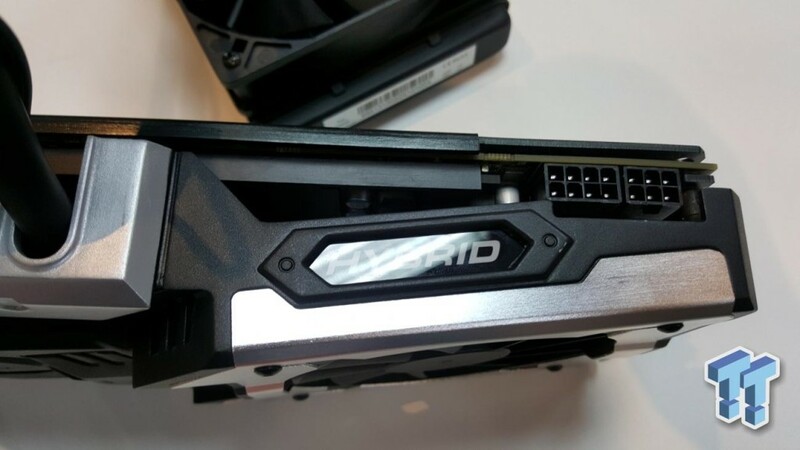 Unofficially they confirmed this is the R9 390X. So it is pretty much confirmed that Hawaii-cards are coming back. We have exclusively told you that Hawaii-based models will return with 8GB memory and slightly higher clocks. This card however, may actually come with much higher clock. We can see it has 8+6power connectors. 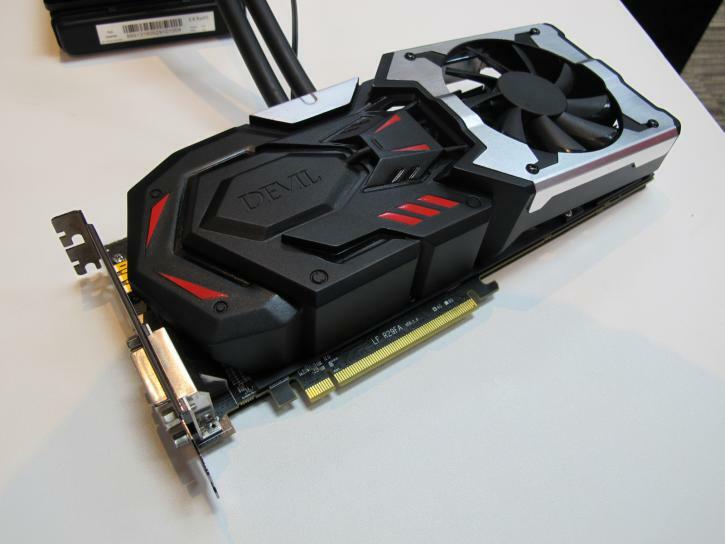 PowerColor R9 390X DEVIL has hybrid cooling solution, something similar to what full-fat Fiji is expected to have. Despite external radiator, it’s still quite a thick design, card will take at least 3 slots and room for the 120mm radiator.